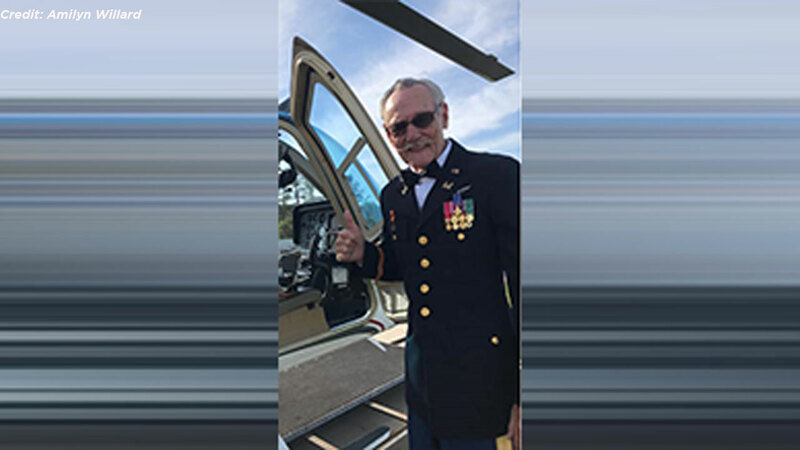 UVALDE, Texas -- A couple was killed over the weekend when their helicopter went down in Uvalde, Texas, just an hour and a half after getting married. The groom's grandfather William Byler confirmed to KTRK that the aircraft went down Saturday at their family ranch. His grandson, Will Byler, his new wife Bailee Ackerman, and the aircraft's pilot, Gerald Green Lawrence all died in the crash. Lawrence's stepdaughter, Amilyn Willard, who said he was a captain in the army and fought in Vietnam. The confirmation comes after the National Transportation Safety Board tweeted Sunday regarding an accident involving a Bell 206B helicopter, which is a two-bladed, single or twin-engined model. The incident happened about 15 miles northwest of Uvalde, according to NTSB's information. Officials are investigating, and the San Antonio Fire Department deployed 10 units to help. The investigative body did not immediately confirm how many people were killed. The couple's wedding portal on planning website The Knot further confirmed their nuptials taking place on Nov. 3 in Uvalde on Byler's family ranch. Engagement photos also show Byler in his cowboy hat in various forms of embrace with Ackerman.